There’s a big debate about car covers – are they a good idea or not? Will they scratch the car? Would the car be better off left uncovered? 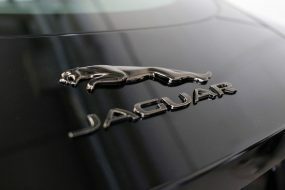 and if you do opt for a car cover, with so many on the market, which is the best to go for? 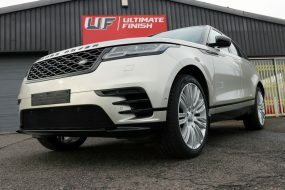 For the last 10 years Ultimate Finish has been advising customers on the best way to enhance and protect their paintwork, and supplying enthusiasts with the world’s best car care and car detailing products. In our experience, correctly chosen car covers are invariably a major benefit whether it’s for indoor or for outdoor use. However, it’s important to get the right cover; the wrong material or a badly fitting cover has the potential to do an enormous amount of damage to your paintwork. Breathability – will it trap moisture next to the paintwork? Weatherproof – how much protection does it offer against rain, ice, snow, etc? Dust-proof – does it have a tight weave that prevents dust granule ingress? 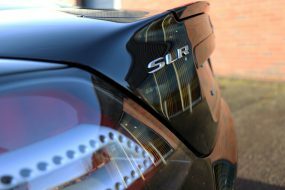 UV resistance – will it allow harmful UV rays to fade paintwork & interiors? Fit – how well does it follow the lines of the vehicle, preventing wind flapping? Maintenance – how well does it resist dirt and how can it be kept clean? Parking Permits / Tax Discs – many local Councils require a parking permit & all cars kept on the road are legally required to display the road tax disc. Is a ‘window’ available to meet these requirements? Following extensive tests (many of which carried out on our own vehicles!) we made our selection based on the factors listed above. In our opinion, both UK based Specialised Covers and US market leaders Covercraft manufacture superior covers using the finest materials and both companies demonstrate a superior quality of workmanship not found with lesser brands. A British manufacturer based in Shipley who, in 1981 made the first ever fully tailored cover for a car. They combine over 30 years experience in tailoring covers with the use of advanced fabrics and technology to make covers which perform brilliantly and fit perfectly. 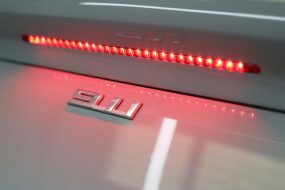 Specialised Covers supply leading car marques such as Bentley, Audi, Lotus and Ginetta. Stormshield Outdoor Car Covers are perfect for long-term outdoor protection. 100% waterproof yet breathable, Tempest is an extremely durable fabric constructed of 3 layers, giving maximum “knock protection”, a shield against dust, pollen and tree sap. The soft fleecy inner layer presents a non-abrasive face to paintwork. 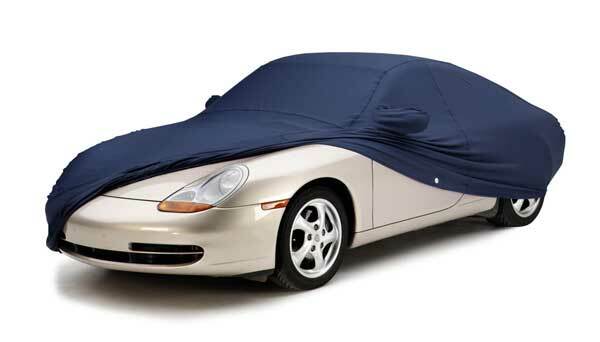 Prestige Indoor Car Covers distinguish themselves from lesser covers with their thick, luxurious cotton mix. They provide superior levels of protection from dust, minor knocks and scratches, thereby helping to maintain the value of the vehicle. Available in a range of both matt and metallic colours with matching or contrasting piping and wing mirror pockets, the Prestige can be customised with 2D, 3D or even embroidered logos. Covercraft is an American company which began trading in the UK as Covercraft Europe in 1990. With an encyclopaedic range of patterns and diverse range of materials, Covercraft offers bespoke solutions for both classic and modern vehicles. Covercraft Weathershield HP is an innovative outdoor material which uses a patented mixture of silicone-based polymers forced into the fabric to provide UV protection which is encapsulated within the material, rather than isolating it as a separate layer laminated into the cover. This offers an enhanced level of UV protection. At 96% water resistant water beads off this cover which has even passed hurricane testing to level 8 on AATCC standards! The “skinny” construction allows for maximum breathability and it also makes it very compact – ideal for cars with little or no boot space! And it’s very easy to look after – throw it in the washing machine and finish it in the tumble dryer at home! Available in a range of colours. 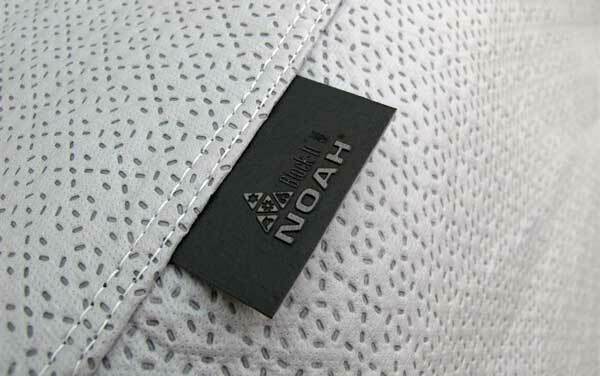 Covercraft Noah is a thick outdoor car cover material, which combines the softness of polypropylene with the weather and UV resistance of polyethylene. The 3 layer construction provides comprehensive protection against snow, rain, dust, tree sap and bird droppings. Treated for rot resistance Noah will not support mildew growth and can be folded and stored even when wet. Covercraft Flannel Super Soft indoor car covers are, as the name suggests, extremely soft and much thicker than most cotton or polycotton covers. Fully breathable, the tightly woven fabric offers excellent protection from dust and accidental knocks. The fibres are treated to be water repellent and to resist mildew growth and rot. Covercraft Multibond is a non-woven indoor car cover material particularly suited for vehicles kept in damp or leaky environments as the fibres are naturally moisture resistant. Consequently, the fibres will not absorb moisture into the fabric and trap it next to the paintwork. Condensation that forms will simply evaporate through the cover and into the atmosphere. 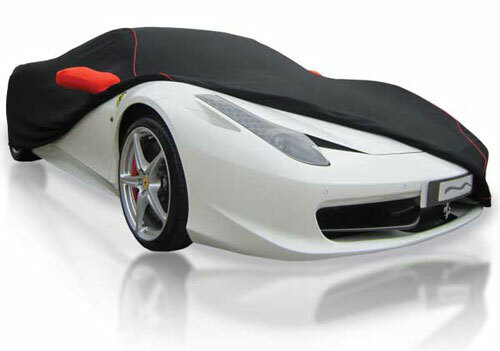 If you can’t wait the 14 – 21 days for a fully tailored cover and need instead a quick solution for indoor or outdoor protection, then Moltex outdoor car covers and Supertex indoor car covers are without doubt the best semi-tailored car covers available. 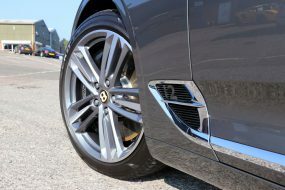 These covers have a generic shape tailored to the ‘type’ of vehicle, for example, Saloon shape, Estate shape, Hatchback shape, Sports Car shape, 4 x 4 shape, and so on. These shapes are then available in various sizes ranging from extra small to extra large. The quality of the Moltex and Supertex material is far superior to that found with most off-the-shelf semi-tailored covers which tend to be constructed from less breathable fabrics. With Moltex and Supertex, opting for semi-tailored does not mean compromising on quality and performance. So, to sum up, and answer the question of “To cover or not to cover”. If it’s the right cover, carefully chosen, it will protect your vehicle, helping to preserve both its looks and its value – even if you know you’re never going to part with it! Finally, when making your decision you can be safe in the knowledge that our entire range of indoor car covers and outdoor car covers has been personally selected and tested using our many years of experience in car care. If you require a personal quote or advice please call us direct on 0845 838 1200, we’re happy to help.